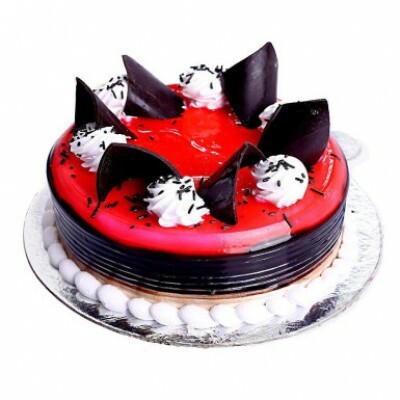 The essence of chocolate and strawberry is enough to mesmerize you and force you to buy the delicious choco strawberry cake. Comprising of chocolate and strawberry adds another taste to this appetite, to shoot which further enables us to reach higher domain and build our own chocolate castle. Chocolate flakes on the top of cake give a look that the cake is wearing a chocolate crown. This mesmeric cake is composed of Whipped cream, cream cheese, granulated sugar, fresh strawberry extracts, butter, soda, cocoa, flour, baking powder. A perfect treat for your sweetheart.